If you are using Matrix4x4s to store your node transforms and want to support scaling you are facing an annoying numerical problem: rotating a node causes its scale to drift from the original value. The problem here is that since floating point computation is imprecise, scale(pose) is not guaranteed to be exactly the same before this operation as after. Numerical errors will cause a very small difference. So even though we only intended to rotate the node we have inadvertently made it ever so slightly bigger (or smaller). Does it matter? Sure, it is annoying that an object that we didn't want to have any scaling at all suddenly has a scale of 1.0000001, but surely such a small change would be impercievable and couldn't affect gameplay. True, if we only rotated the object once. However, if we are dealing with an animated or spinning object we will be changing its rotation every frame. So if the error is 0.0000001 the first frame, it might be 0.0000002 the second frame and 0.0000003 the third frame. Note that the error growth is linear rather than geometric because the error in each iteration is proportional to the current scale, not to the current error. I. e., to (1 + e) rather than e. We can assume that 1 >> e, because otherwise we already have a clearly visible error. As you can see, after 28 minutes we have an error of 0.1 %. At this point, it starts to get noticeable. You could debate if this is something that needs fixing. Maybe you can live with the fact that objects grow by 0.1 % every half hour, because your game sessions are short and the small scale differences will never be noted. However, since Bitsquid is a general purpose engine, we need a better solution to the problem. Setting the rotation doesn't touch any of the position elements and can't introduce errors in them, and vice versa. With the pose stored like this, changing the rotation does not touch the scale values, so we have eliminated the problem of drifting. However, the representation is not as convenient as a Matrix4x4. We can't compose it or compute its inverse with regular matrix operations, as we can do for a Matrix4x4. We could write custom operations for that, or we could just convert this representation to a temporary Matrix4x4 whenever we needed those operations. Converting to a Matrix4x4 requires initializing the 16 floats (some with values from the pose) and 9 floating point multiplications (to apply the scale). What kind of a performance impact would this have? I would guess that the part of the codebase that would be most affected would be the scene graph local-to-world transformation. With this solution, you would want to store the local transform as a Pose and the world transform as a Matrix4x4. The local-to-world transform requires about 36 multiplications and 36 additions (says my quick estimate). So adding a temp Matrix4x4 conversion would take you from 72 to 81 FLOPS. So a very rough estimate is that this change would make your scene graph transforms about 12 % more expensive. Likely, the real value is less than that since you probably have additional overhead costs that are the same for both methods. And of course, the scene graph transforms are just one small (and parallelizable) part of what your engine does. We rarely spend more than 2 % of our frame time there, meaning the total performance hit is something like 0.2 %. I think that is a quite reasonable price to pay for a neat solution to the problem of drifting, but you may disagree of course. Also, perhaps the use of Matrix4x4s is so ingrained in your code base that it is simply not possible to change it. So let's look at the other possible solutions. The fundamental problem with set_rotation() is that we try to change just the orientation of the node without affecting the scale. Extracting the scale and reapplying it is what causes the drifting. Now the drifting problem is back with a vengeance, reintroduced by the user. To prevent drifting the user must take care not to create such feedback loops. I.e., she can never extract the scale from the matrix. Instead she must store the scale at some other place (separate from the matrix) so that she can always feed the matrix with the correct scale value. 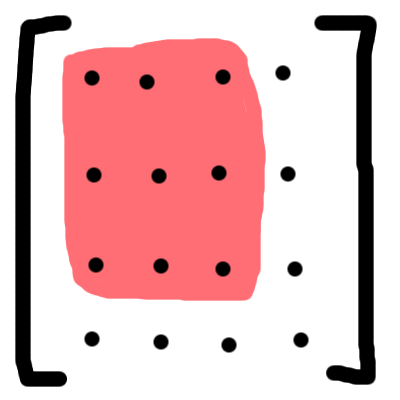 What we have done is essentially to move the burden of keeping track of the scale of objects from the transform (the Matrix4x4) to the user of the transform. This prevents drifting and doesn't have any performance costs, but it is pretty inconvenient for the user to have to track the scale of objects manually. Also, it is error prone, since the user who is not 100 % certain of what she is doing can accidentally recreate the feedback loop that causes drifting. If none of the two options presented so far seem palpable to you, there is actually a third possibility. Consider what would happen if we changed the Vector3 scale(const Matrix4x4 &) function so that it always returned integer values. Calling set_rotation() as before would introduce an error to the scale and set it to, say 1.0000001. But the next time we ran set_rotation() and asked for the scale it would be rounded to the nearest integer value, so it would be returned as 1 -- the correct value. Applying the new rotation would again introduce an error and change the value to 1.0000001, but then again, the next time the function ran, the value returned would be snapped back to 1. Of course, if we round to integer values we can only scale an object by 1, 2, 3, etc. Not by 0.5, for instance. But we can fix that by using some other set of discrete numbers for the scale. For example, we could round to the nearest 0.0001. This would let us have scales of 0.9998, 0.9999, 1.0000, 1.0001, 1.0002, … Hopefully that is enough precision to cover all the different scales that our artists might want to use. Snapping the scale values in this way might be OK for static scaling. But what if you want to smoothly change the scaling with an animation? Won't the discrete steps cause visible jerks in the movement? Actually not. Remember that it is only the value returned by scale() that is quantized, the user is still free to set_scale() to any non-quantized value. When the scale is driven by an animation, it is fed from an outside source. We don't need to read it from the matrix and reapply it. So the quantization that happens in scale() never comes into play. So amazingly enough, this hacky solution of snapping the scale to a fixed set of discrete values actually seems to work for most real world problems. There might be situations where it would cause trouble, but I can't really come up with any. A final approach is to try to address how the numbers are drifting instead of stopping them from drifting. If you look at the table above you see that the errors are growing linearly. That is not what you would expect if the errors were completely random. If the errors in each iteration were completely random, you would get a random walk process where the total error would be e * sqrt(N) rather than e * N, where e is the error from one iteration and N the number of iterations. The fact that the error grows linearly tells us that our computation has a systematic bias -- the error is always pushed in one particular direction. If we could get rid of this systematic bias and get a truly random error, the accumulated error would grow much more slowly, the square root makes all the difference. For example, for the error to grow to 0.1 % it would take 5.2 years rather than 28 minutes. At that point, we might be ok with the drifting. I haven't thought that much about what would be needed to get rid of the systematic bias in the set_rotation() function. It's a pretty tricky problem that requires a deep understanding of what happens to all the floating point numbers as they travel through the equations. In the Bitsquid engine we have so far gone with #2, as a make-shift until we decided on the best permanent solution to this problem. After reviewing the options in this article I think we will most likely go with #1. #3 is an interesting hack and I think it would work almost everywhere, but I'm willing to pay the slight performance price for the cleaner and clearer solution of #1. When I worked on Nintendo DS a few years ago, I had to face terrible numeric stability issues, since the hardware has no FPU. So with the fixed point math in the 3D scene graph, such drifting caused asserts to be triggered VERY often, like after a couple minutes - yeah I put asserts "everywhere". Even though the issue is not the exact same, I basically worked with #1. So it ended up looking clean on the client side. But even with that, I had to snap values like #3 here and there. Fortunately, this happened only in some engine private place. Yes, me too. I'll see if I can get some numbers as I do the change. The matrix is very helpful in solving three or more equations simultaneously.The other methods are complex and lengthy. 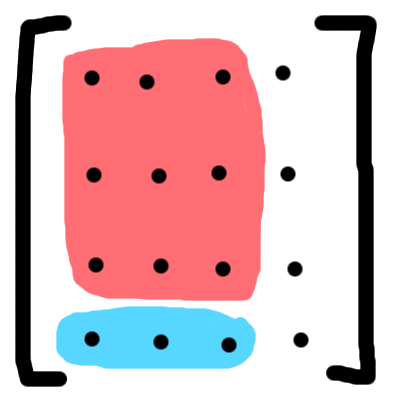 I am wondering how you decompose your matrix into rotation and scale if you support non-uniform scaling? The upper 3x3 matrix in your example might contain shearing. How do you scope with this? I support rotation and non-uniform scaling, but not shearing. You can extract the scale as the length of each axis and then extract the rotation in the usual way after normalizing the axes. If all you care about is rotation, translation, and scale, the last row of your transformation matrix will always be 0 0 0 1. As a variant of option 1, you could make a transformation class that looks and behaves like a 4x4 matrix with all of the same operators except that it only stores the first 3 rows and automatically assumes the last row is 0 0 0 1. Not only does this save space but also makes matrix multiplies and other operations faster. When you set the scale, you could put the x, y, and z into the 0 0 0 of the last row and also multiply it into the matrix. Then when you retrieve the scale, instead of computing it out of matrix and compounding round off error, just return the those 3 values you put at the end of it.